Group portrait of the Meddies. Front row, left to right: Oley Sawyer, Jack Lingley, Bart Wolf, James Smith. 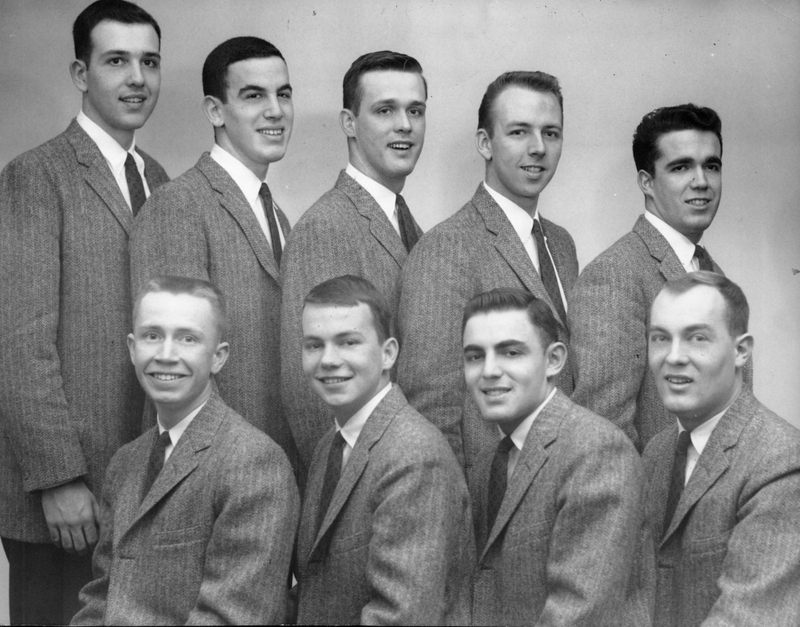 Back row: James Howard, David Fischer, Richard Kruger, Peter Potter, Clay Bennett.